Matrices are frequently used in programming to represent graph data structure, in solving equations and in many other ways. 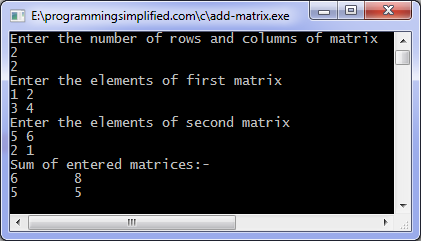 Similarly, we can create a program to subtract two matrices. You can also create a function to perform addition of two matrices.